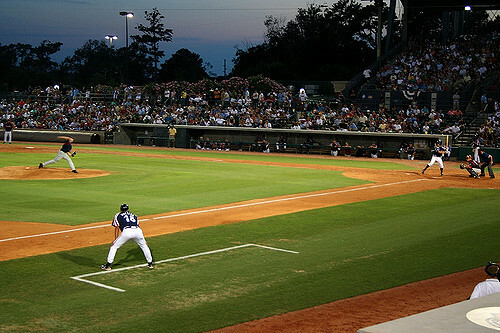 From the sand to the stands, a favorite pastime in Myrtle Beach is cheering on the local Minor League Baseball team, the Myrtle Beach Pelicans. A Class A-Advanced affiliate of the Chicago Cubs, the team has home games throughout the summer at Ticketreturn.com Field located just a mile from Ocean Boulevard. While some family activities can tap into your rum money, a night at the ballgame is fun at a price that won’t break the bank with tickets averaging around $10 each. Throughout the summer the Pelicans host family night out events from pirate and princess-themed games (um, yes), to fireworks shows and even a night where kids get to run the bases. The youngins aren’t the only ones to enjoy the perks here, though. You get to have your Cracker Jacks and eat em, too. Parents can enjoy Craft Beer Tuesdays and Thirsty Thursday games while cheering on the Pelicans. So, go ahead! Book those tickets and we’ll see meet you and the fam behind home plate. Cheers to a little summertime baseball. You Need a Vacation...but Why?